Whether you’re engaging audiences at an industry-leading convention or forging lucrative relationships at a trade show, the risks are higher than you might think. The biggest risk of all? Crossing your fingers and hoping that this time you won’t have to deal with common AV problems. Fortunately, you can trade massive uncertainty for peace of mind. With proper planning and the right AV partner, you can deftly address any problems that occur without skipping a beat. Here are the top 10 ways you can avoid common AV problems at your next event. While the International Fire Code is the standard throughout the United States, many state and local governments maintain even stricter building codes. Depending on your event’s occupancy rate, you may need fire marshal approval. Assuming you won’t need approval or delaying until the last minute might result in a fine. Worse, your event could get shut down. Avoid common AV problems by identifying local codes for occupancy thresholds and requirements. If necessary, submit drawings and get an official nod from a fire marshal. Better yet, make sure your AV partner understands what’s needed and handles the entire process for you. Preparation will increase the odds that you’ll be able to use the AV equipment exactly as planned. Although your event may not require the in-depth planning of a prop-heavy Las Vegas show, you may still need to submit a rigging and load calculation plan. Each property has its own safety standards, and processes for customizing lighting, speakers, and wiring. Different truss and rigging elements have specific weight capacities, operating speeds, and performance characteristics. OSHA also has special procedures for loading counterweights and performing other common stage tasks. Managing these requirements in a ballroom or conference venue can be challenging. However, these common AV problems become exponentially more complex when you work in an unconventional space like a performing arts center. To further complicate matters, if your event is in a temporary outdoor space, you may need an engineering certificate to validate that it’s durable and weather resistant. Whether your event is being held in a ballroom, an old theater, or a tented environment, you can save yourself a lot of stress by making sure your AV partner designs your rigging plan and diagrams and handles all the approvals, installation, and installation removal for you. If you’ve ever listened to your favorite song on a bad car stereo or suffered through watching your favorite movie on a low-end screen or monitor, then you probably appreciate great audio and video. Let’s say you want to share a video presentation with hundreds of people in a massive banquet hall. One eight-foot screen won’t do the trick. In addition, you might even need multiple projectors to make the images visible to everyone in the room. Now imagine not having to figure it all out yourself. What you really need is a technology solution that meets the needs of the attendees – video and audio efficiently tailored and scaled for the room. The right gear doesn’t necessarily equate to cutting-edge gear or more gear. Ask yourself what you want your audience to think, feel, or do. When you’ve identified the results you want, work with an AV company that knows how to solve common AV problems, choose the right technology, and achieve even the most ambitious event goals. A black backdrop may look sharp, but is it functional? Will presenters be able to navigate the stage without tripping? Is the lighting shining a spotlight on the action or keeping everyone in the dark? Just because the stage and screen are visible doesn’t mean they’re effective. Creating the visual impact you desire won’t happen by chance. Avoid common AV problems by working with a partner that knows how to use lighting to create a focal point and draw attendees’ attention when and where you want it to go. It takes time – and thought – to optimize the configuration of AV equipment and the stage design. Even if you have only a small amount of AV equipment, it can still take some effort to set it up. Treat each segment of your event as an independent project, and give your staff ample time to switch from one task to the next, thus avoiding common AV problems. Build a schedule that accounts for commonly overlooked tasks like moving AV equipment into place and testing the AV gear to ensure that it will operate reliably using the local power supply. There are hundreds of variables in the course of a day-long load-in. Simply adding an hour or two to the timetable might not cut it. It’s also wise to set aside extra time for rehearsals guided by your experienced AV professionals – the more rehearsal time, the better. In addition to creating a plan that gives you plenty of wiggle room, doing a dry run lets you fine-tune your event and nail down the pacing. Are you sure your keynote speaker’s mic won’t fail? How about the sound mixers and the lights? No matter how prepared you are, components can fail for reasons that are impossible to anticipate. Plan for common AV problems and equipment failures, and have the necessary backup gear at the ready. Always expect the unexpected. If you’re a movie buff, you know that video can be shot using different aspect ratios (screen sizes). Common AV problems include high-impact videos and presentations sometimes end up cropped or stretched out. The surefire solution? Work with your AV team ahead of time to ensure that your still images and PowerPoint presentations have a standardized, on-brand look and feel. Your AV team should be able to weigh in on your presentation design or take care of the standardization and design for you. If your show is small and straightforward, you may need only one person to operate the video, audio, and lighting. On the other hand, a big show may require multiple people to handle the video alone. The amount of AV support you need depends on what’s happening, how fast it’s happening, and the goals you’re hoping to achieve. Understaffing can be dangerous; overstaffing can be costly. They are both common AV problems. What’s a right-sized team? It’s a team that covers all your video, audio, lighting, and creative services needs, providing ample diversification and the right level of expertise in each discipline. It’s also a team that shares expertise and collaborates closely with you so no detail slips through the cracks. Client goals, venue requirements, and event programs vary and can change quickly. One of the most common AV problems planners face is insufficient AV guidance and support from the event planning stage to long after the show is over. 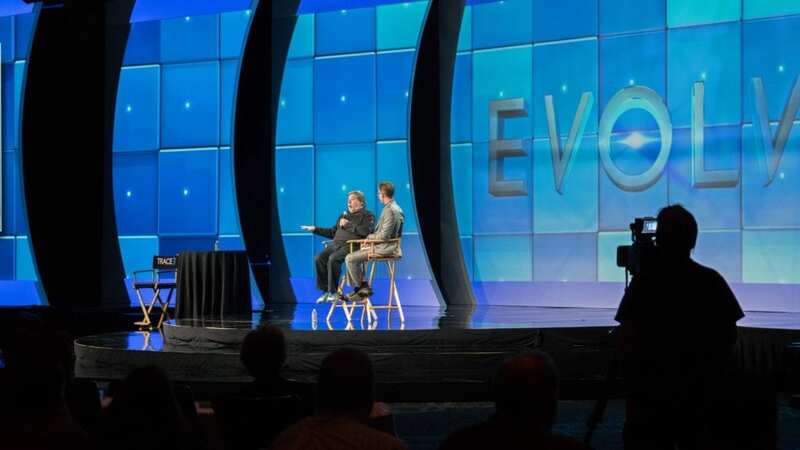 Don’t wait until you’ve planned half the event to bring your chosen AV provider in on the discussion. Keeping them in the loop from the beginning makes it easier to anticipate and avoid problems – and it takes worry off your plate. Your AV team should enable you to preempt risks and circumvent potential problems. Ideally, your partner will understand your “must haves” and hot buttons, engage in open dialogue, honor the principles of risk management, and know how to execute consistently. A lot is riding on your events. Will your AV setup fail you when you need it most, or will every show engage audiences and run smoothly? Most importantly – will you leave it up to chance? Choosing the right AV partner is a big decision. If you’re not sure your partner’s right for you, get a second opinion. We regularly review AV plans and offer advice at no cost and with no obligation. The best case scenario: we’ll confirm that your partner is providing the exceptional AV support you expect. The worst case scenario: we’ll point out common AV problems and share valuable insights you can implement at your next event. Remember: your reputation is on the line. Choose a partner that successfully handles thousands of events nationwide from start to finish – an industry expert that is committed to making each show even better than the last and make your next event a standout.